Classic Rally Plate Scrapbooking Stickers Small Scale Rallying Labels. Set of 10. #6. 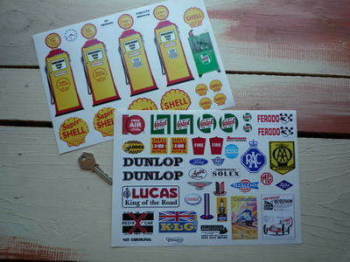 Classic Rally Plate Scrapbooking Stickers Small Scale Rallying Labels. Set of 10. #9. Esso Garage Diorama Model 1/43rd Scale Set. 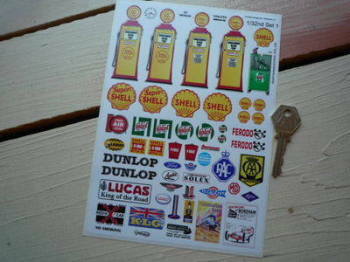 Model Racing Slot Car Sticker Set B. American. RC Radio Controlled Car Mardave Vintage Style Stickers. Set 1. RC Radio Controlled Car Mardave Vintage Style Stickers. Set 2. 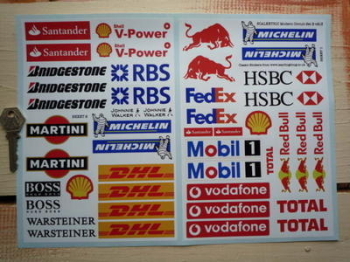 RC Radio Controlled Car Mardave Vintage Style Stickers. Set 3. RC Radio Controlled Car Mardave Vintage Style Stickers. Set 4. 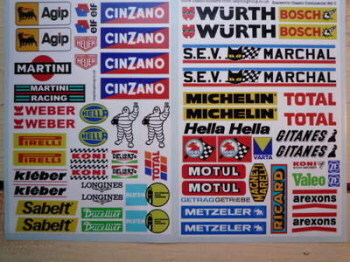 Rothmans Racing Small Scale Stickers. Set of 4. 14mm, 25mm, or 50mm. Scalextric Slot Car Racing European Trackside Stickers Set C.
Scalextric Slot Car Racing Modern Trackside Stickers Set B. Shell Garage Diorama Model 1/12th Scale Set. Shell Garage Diorama Model 1/18th Scale Set. Shell Garage Diorama Model 1/24th Scale Set. Shell Garage Diorama Model 1/32nd Scale Set. USA Stars & Stripes Shield Style Stickers. 30mm. Set of 4.